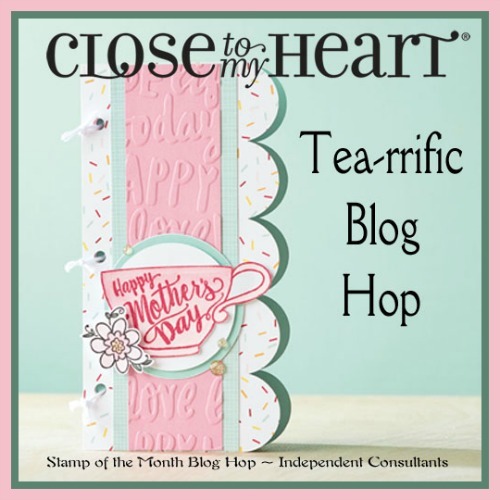 Paper HeARTIST: March's SOTM Blog Hop..."Tea-rrific"
With 30 participants in this blog hop and such a fun stamp set, you are sure to find lots of ideas using this month's Close To My Heart's Stamp of the Month. The hop makes a circle, so if you are starting here just continue until you make your way back and you will have made it through them all. If you have already started and are coming from Corinna Murphy's blog, "Corinna's Crafts", then you are on the right track. I started with my favorite image from this month's stamp of the month and a sketch from Mojo Monday. I stamped the stacked cups three times, coloring one of each using ShinHan alcohol markers. Then I cut each out and stacked them using foam tape to add additional dimension. It's difficult to tell from the photo, but the polka dots and the large heart have been colored with the clear shimmer pen. 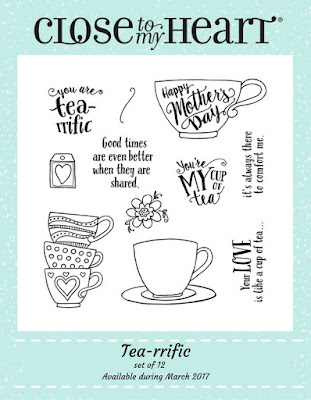 Pick up your own Stamp of the Month for only $17.95 OR get it for only $5 with a $50 purchase! 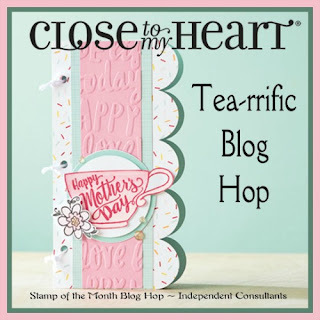 Be sure to contact your Close To My Heart Independent Consultant to get yours. If you don't already have a consultant, I'd love to be yours. You can find details on the "Stamp of the Month" by clicking on the "Promotions" tab at the top of the page or purchase your SOTM here. Of course, if you have any questions, please don't hesitate to contact me. If you have time, take a moment or two to check out the rest of my blog. If you enjoy your visit, then please consider "Following Me", signing up to receive blog updates, and/or leaving a comment (we all love comments...the nice ones anyway), then be sure to continue along on the hop by heading over to my fellow consultant, Vickie ODell's blog, "HeARTful Stamper" and check out her creation. You can find a complete list of all of the participating consultants here. Fun card! I love the dimension. Love your card!Love how you did your cups! What a fun design and great color combination. The bright colors are really nice. Lovely card, Tamytha! The twine treatment on top is very nice. 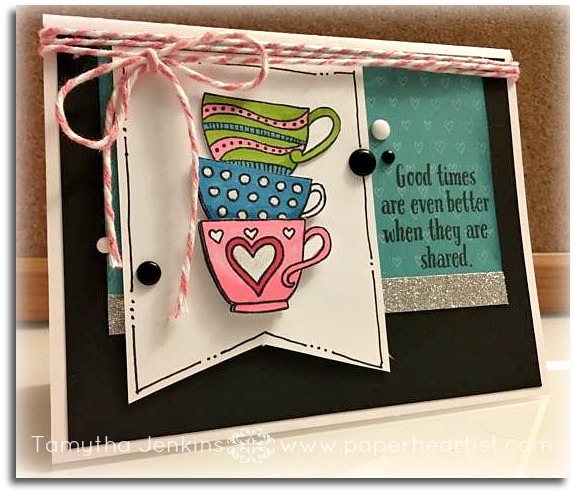 Love the dimension of this card, Tamytha! Wonderful card! Love the coloring and doodle lines.